The art of a positive mind. What a difference a year makes! 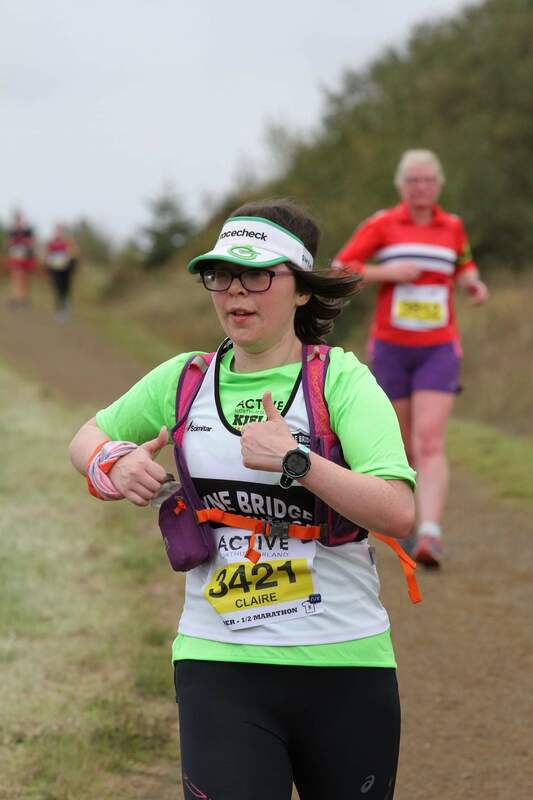 Casting my mind back to last year’s Kielder Half Marathon, when I took on my first trail half marathon, little did I know the challenge that lay ahead in Britain’s most beautiful half (in my opinion anyway). After a tough battle from mile 7 onward’s I eventually finished in a time of 3:03:15. 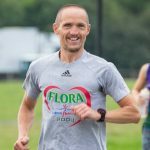 I didn’t have the greatest lead-up to Kielder, with a slower than anticipated time at the Great North Run just one of several set-backs in my build-up. A few niggles after the GNR meant a big reduction in my training mileage but I swapped running for yoga and strength & conditioning sessions, and looking back I’m beginning to think this may have been a blessing in disguise as I went into Kielder feeling strong and very calm (not how I usually feel before a half marathon). Mile 1: Started steady, focusing my mind on the first ‘steep’ hill that comes up during the next mile. Mile 2: Yeah! I managed to complete the hill without walking or stopping at any point. And remembering the hill from last year, I knew I could recover on the downhill section that soon followed. 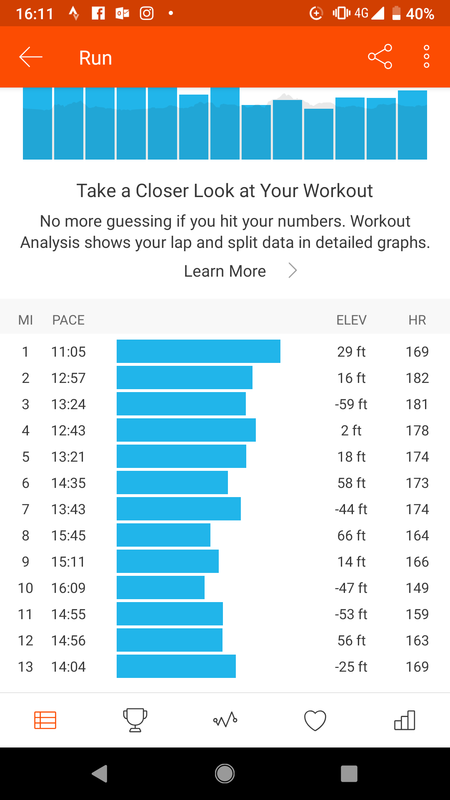 Mile 6: I do love attacking the downhills after tactically ending up walking up some of the ups i knew the section where we briefly run past road was coming and a lovely steep downhill. Mile 7 The point where i believed the course PB was achievable and sub 3 was looking likely too as 6.5 miles was 1:20 it was this point i believed i even had a slim chance of a half marathon PB and couldn’t believe how well it was going. I recovered the pace after the previous mile and lovely steep downhill that marked the reservoir being right next to me again nothing beats seeing that view, a little uphill struggle through some woodland i knew the part where i really struggled last year was at the end of this open grassland next to reservoir i really attacked it strongly this year despite the wind picking up. Mile 8: Uh oh I knew what was coming from last year, but first of all a lovely downhill that led to the big zig zag climb. I noticed Cees van der Land spectating this year ( for good reason). The zig zag climb didn’t last long and I got distracted by talking to others around me. Mile 9: The worst part of the course was over and the downhills never felt so good. Mile 10: ‘Just a parkrun to go’ we all shouted to ourselves as a group of us reached 10 miles. 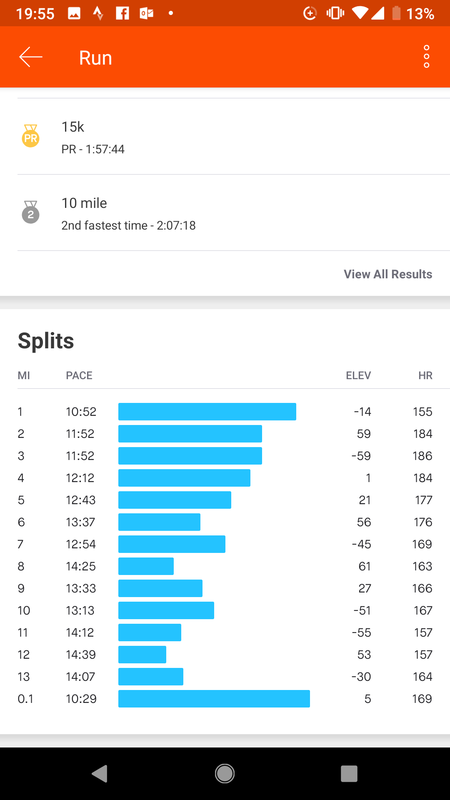 At this point I knew a sub 48 minute parkrun would get me a half marathon PB, but at same time felt like I was slowing. But I remained positive because I wanted it so much. From this point of the race I was pretty much on my own for the remainder of the course. Mile 12 I could hear the finish in the distance. 32 minutes stood between the last 2 miles and a half marathon PB. I couldn’t give up now and cracked on. I knew a course PB was on the table and focused on getting the job done. It was this point that the first marathon runner passed me. Amazing to think they had done double the distance in the time it took me to do 12 miles. Mile 13 Didn’t feel like I had much left but was greeted by Matt Walker and fiancee who were watching the event. The support was much needed and certainly got me going again. Coming out of the forest I sprinted towards the finish and heard cheers from the hoards of spectators, including several Tyne Bridge Harriers. They were much appreciated. There is a lot to be said about going into a race with a positive mindset. Although I went into the event looking to run under 3 hours I never expected to actually come out with a half marathon PB, especially with Kielder being such a tough course. 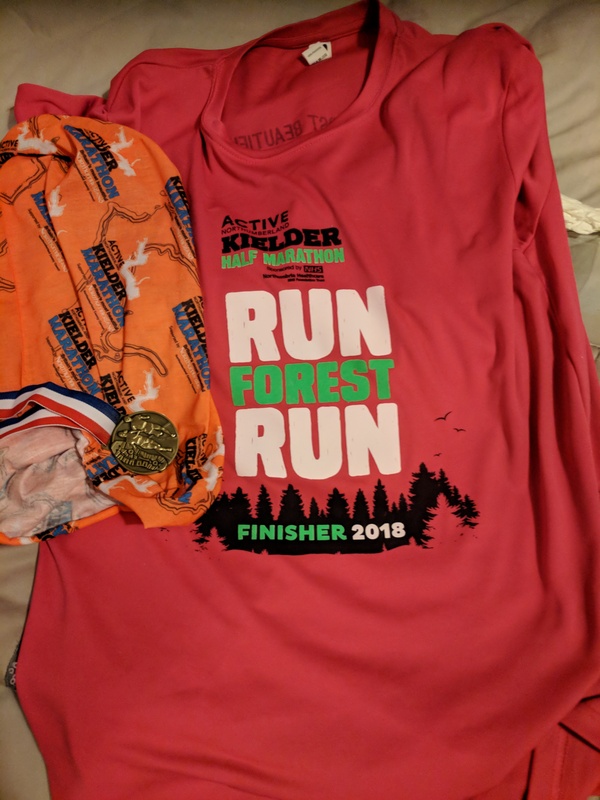 It was the perfect way to celebrate my 10th Half Marathon. What a difference 4 weeks makes; from boiling hot conditions for the GNR to very cool conditions at Kielder. And a difference of 15 minutes too! I would definitely recommend the Kielder Half Marathon to anyone considering to do it next year. It certainly was Britain’s most beautiful half marathon this year. CONGRATULATIONS CLAIRE ON A TERRIFIC RUN AND PB.